Our summer out here, about 45 miles from Salem was not hotter. It was though different. We didn't get to 100 and our nights frequently were in the low 40s F. (a few times high 309s)even in the middle of summer. I'd say for us we have gone to a milder climate for winter and summer than it was even four years ago. I believe in climate change but not sure what humans can do about it. We are becoming more and more a middle class society-- round the world-- statistically speaking with more living a middle class lifestyle. The middle class uses up a lot of resources with many purchases, trips in cars, planes, or cruise liners, more heat and cooling in homes and on it goes. The goal of globalism is to get more people to the middle class, a good place to live, but it is bound to not only use up more resources but also cause heat. Even things like solar are being questioned for how much heat they generate with the big fields of them. I know those who want a carbon tax as if it'll be some magical answer to make people travel less, I guess. The taxes will find some use in government, but I doubt it'll do anything about the shift in climate. We have jokingly said that soon we'll look like Northern California here or maybe even the middle of that state. Any study of this planet shows it has had vast swings from tropical to ice ages. When forests are cleared to produce soybeans (Argentina), what does that do? Humans are consumers and that definitely helps economies grow but what does it do to the balance in nature. 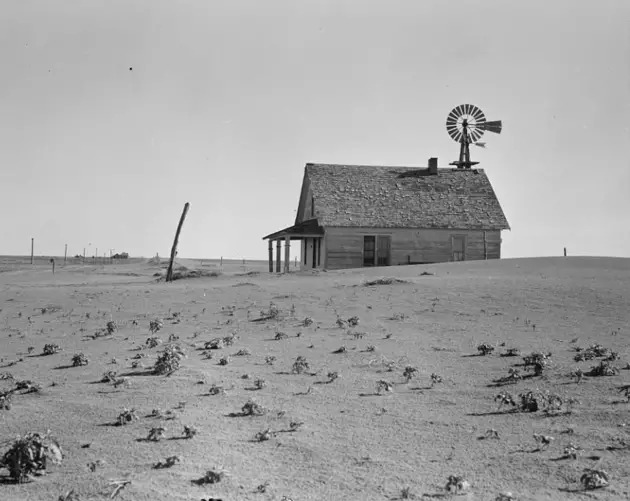 If only those whiners that loaded up their Model Ts and fled the dust bowl in the 1930 had seen your pictures of utter devastation, they would have made a quick U-turn and headed back to Oklahoma. Luckily for them, 100% man made and 100% man curable global warming wasn't around back then. Why are you using underground precious water for something as useless as a lawn? It annoys me that so many gloss over their own 'transgressions' but flip attitude towards 'deniers'.